National Association for Stock Car Auto Racing (NASCAR) is an American racing event known for their stock-car racing. If you have ever dreamt of becoming a NASCAR driver then think again! NASCAR is an expensive sport and it evolves lots of mental as well as physical training and focus. With focus and proper training, sensible and measurable steps towards the ultimate goal, race car drivers can drive professionally around NASCAR race tracks. However, to become a driver, you need certain qualifications and should know some basics before entering the racing world. If you can’t become a NASCAR driver, you can become a Lyft driver and still earn money! For that, you will just need to pass the Lyft driver qualification process! 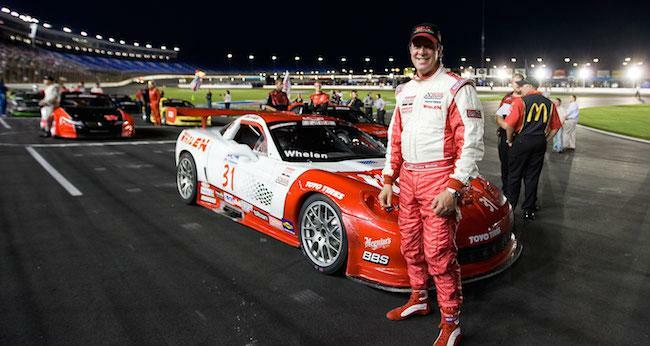 If you still dream of becoming a NASCAR driver then here are few tips for you! Every race car driver’s career would have started with basic go-kart racing. With karting, you can get control on adapting to the race track for speed and can teach you the art of racing. You can even participate in karting competitions from local to the international cup. If you are under age then try and find a track for youth racing. Try participating in soap box derby races to get more fruitful racing experiences. After you have done karting, you can try participating in amateur car racing events to compete with cars! You can even build your career as an off-road racer. After learning the basics, race as many local races as you can. As you win a race, you start to build up a reputation and improve your driving skills, enhance your talent and build a career. You can watch races on TV or visit a local track and ask questions related to races to the pit members, managers, drivers, and officials if you have a chance! Get the information related to race cars from local mechanics or from the internet. Read articles and magazines about auto mechanics or get courses from a college. You need to know everything about the race cars if you are really serious about becoming a race car driver. You can even get help from local driver’s crew as a volunteer. There are some programs out there that provide training for the volunteers. Teams need volunteers to do all sorts of jobs which is a good way of getting on-site experience. There are many speedways where you can take experience from ride-along laps to following a pace car, or the ultimate driver’s seat challenge with an experienced passenger. While many race car drivers don’t have a college degree as there were no driving schools back in those days. You can get an internship degree from racing companies including NASCAR. There are many organizations in the country where you can help you get inside the business as a worker or inspector which could lead to your own race car career. You need to apply for a competition license before you drive a car. You can get competition license by attending racing schools and before getting one, you will need to pass the physical test. After getting your competition license, don’t buy a racing car as it is very expensive! Race car drivers get money from the sponsors for racing. It can cost millions of dollars to set up equipment and everything else you need! Try and gain sponsors by winning the races. DRIVER : Dan Chapman – Keeping Drifting Fun!